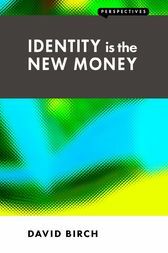 This book argues that identity and money are both changing profoundly. Because of technological change the two trends are converging so that all that we need for transacting will be our identities captured in the unique record of our online social contacts. Social networks and mobile phones are the key technologies. They will enable the building of an identity infrastructure that can enhance both privacy and security – there is no trade-off. The long-term consequences of these changes are impossible to predict, partly because how they take shape will depend on how companies take advantage of business opportunities to deliver transaction services. But one prediction made here is that cash will soon be redundant – and a good thing too. In its place we will see a proliferation of new digital currencies.